On average, an engagement ring costs $6000. In this post, we will show you many ways of saving money on an engagement ring. 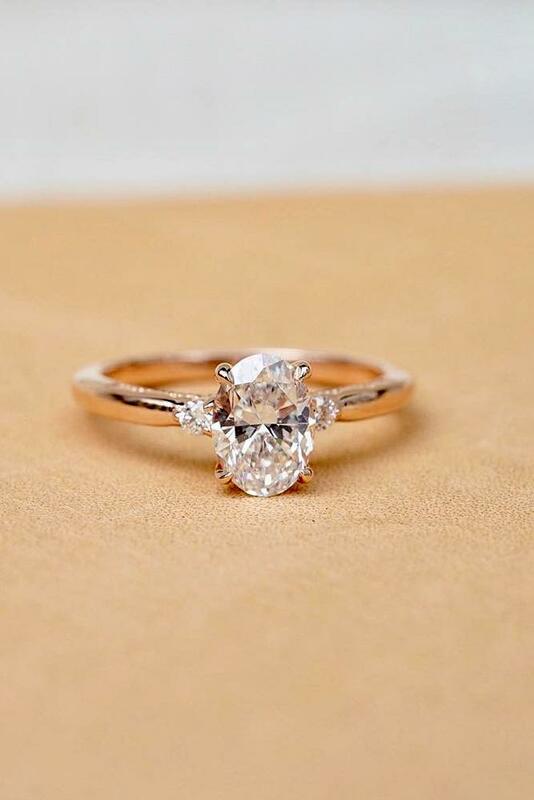 Stay with us to learn the cheapest ways to buy an engagement ring here! These days, the cost of rings is enough to make down payment for a house. Whichever it is, see below how to get the best deal on an engagement ring. This is the cheapest way to buy an engagement ring. Sellers are everywhere on social media pages, in jewelry stores or around you. Ladies sell their rings for quite a number of reasons. It could be as a result of the upgrade, money issues or break up. When you buy a used ring, you get large discounts, especially on diamonds. This is the best way to buy a diamond if you’re buying an engagement ring on a budget. The 4Cs (clarity, color, carat, cut) are the things to check when buying a diamond. First off, the cheapest time to buy an engagement ring is in the summer – this is when sales drop to the minimum. As such, when you go for a ring, cut down on the carat a tiny little bit. 1.8c instead of 2.0c is almost about the same thing. This is you buying shy of the original weight. This saves you a whopping 20%. The difference in weight isn’t much and only a trained eye can detect it. Platinum is durable, hypoallergenic, fashionable and all-around stylish. But with all its great attributes, it does not come cheap. Platinum is the strongest of ring metals and is trending now, but if you are on a budget, it’s not for you. Go for white gold instead. Although, not as costly as platinum, it is durable too. It is sturdy and can stand tarnish, rust, and corrosion. Its luster also lasts longer than platinum. For the man who wants a huge rock, but has a small budget; go for the pave diamonds. This gives an illusion of a huge rock to the ordinary eyes. Buy a small center stone and pave it with tiny diamonds, making it look like crushed ice. This makes the rock look bigger and shines some extra. Metals are the new fashion, and if your beloved isn’t particular about gems, go for it. You will save a ton of cash if you take advantage of the metals without gems. Truth is, it is not a must you have gemstones on your ring. Metals are now more stylish and artistic. They serve great as well. Go for rings with mixed metals like a white and yellow or rose gold. A unique band that is plain, but has scrolls by the sides. The scrolls couple be your favorite quotes or songs. The very personal twisted and artful style metal band. This is trending right now. Personalize a metal band by engraving her initials on it. Go for the traditional Irish Claddagh ring. One whose heart you face away from the body when engaged. After marriage, you can face the heart to the body. There are many places to get the best prices on engagement rings. But whatever you do, avoid the chain jewelers. 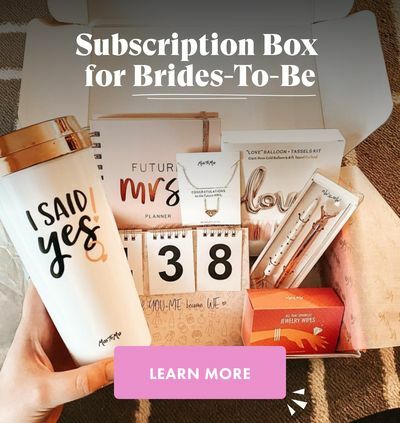 Theirs is not the best place to get engagement rings unless your budget is huge. Below are some places where you can get the best prices on engagement rings. Online diamond jewelers: Online Jewelers like the Blue Nile is about the best store to buy a diamond ring. They have an array of over 25,000 diamonds which you can look at. It takes quite some browsing time because you’d see gems that match your budget and perfect size. You will also view different specifications and match them with diverse settings. At the end of it all, you come off satisfied. This results from the fact that you not only got what you want but at half the store price. They also ship and accept returns for free. This is overall the cheapest place to buy engagement rings. Independent/local jewelers: You will spend more money on these guys than you will spend online. But if you are the type who will rather see what they are buying in person, patronize local jewelers. Because of their small outlet, they have more quality and unique rings. Their craftsmanship is also of higher quality because they put their time into every detail. They cost about one third lesser than chain stores, so still a good deal. 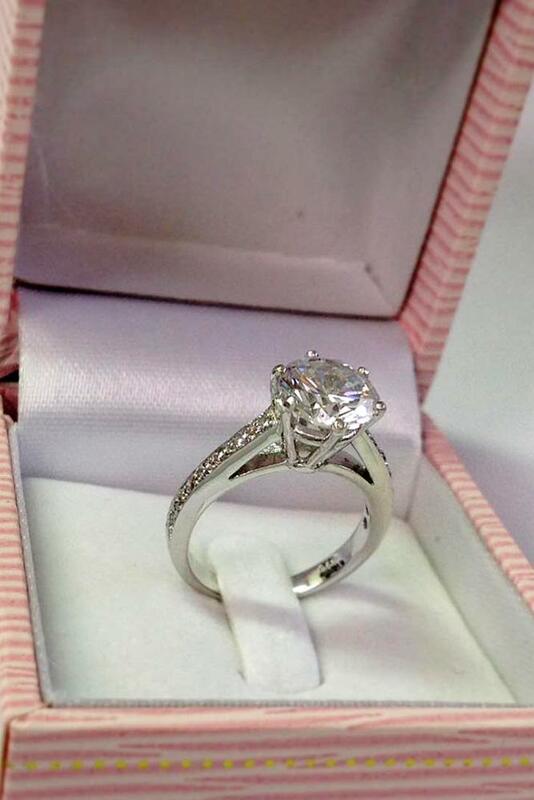 The best place to get engagement rings, even better than online is from diamond wholesalers. But you have to be smart, else you get ripped off your money. Buy a loose stone of your specification from a jeweler and have a jeweler construct a set. This is an easy way to create a custom made ring. You can bargain on the engagement ring and get discounts. The best cheap engagement rings may not be diamonds, but they hold their own. There are diverse types of gemstones in the world that will pass for diamonds. You can always upgrade much later when finances get better. If you have a very low budget, below are some high-quality engagement rings for cheap. 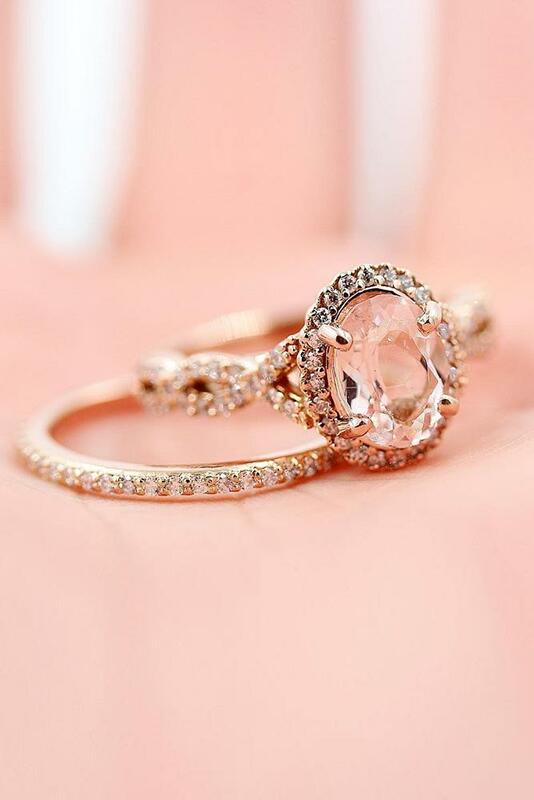 This is the cheapest and best affordable engagement rings for diamond look alive. It costs one-tenth of what a diamond will cost in the same carat weight. The source is synthetic zirconium dioxide and for that, it is flawless. It is very similar to a diamond, but a trained eye will detect the lightness. It is many times lighter than diamonds and scratches easily. This one steps up a grade over cubic zirconium. It is one of the best affordable engagement rings and costs about a quarter less. This ring is colorless and passes as the traditional alternative to a diamond. Diamond gemstones are 4 times harder than sapphire and have more brilliance. But the cuts for sapphire can bring out the brilliance. Go for non-flat cuts like cushion, pear and princess cuts. This follows right behind diamonds and ranks above all others mentioned. It is the next hardest stones after diamond. It costs about half the price of a diamond in the same carat weight and has more brilliance. But diamonds are clearer than moissanite.